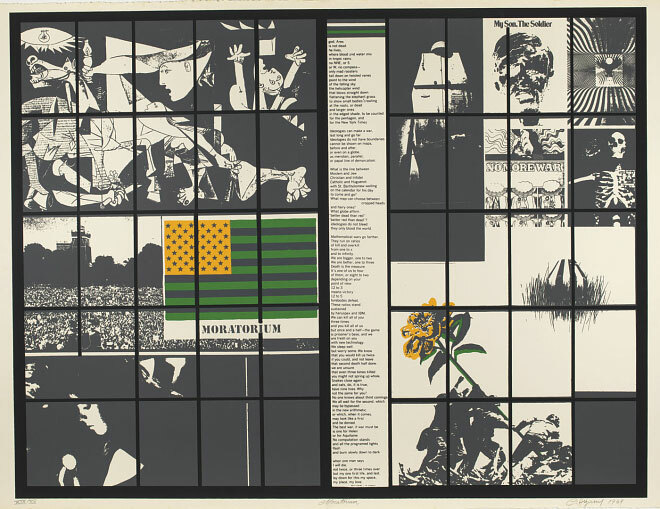 Artists Respond: Art and America’s War, 1965 to 1975 explores artistic reactions to the Vietnam War created during the height of the U.S. intervention in Southeast Asia. An unpopular and internally divisive conflict, America’s war in Vietnam had a pervasive cultural impact. In visual art, it prompted a return to social content and the rise of forms, such as institutional critique and body art, that reject an aesthetics of distance and indifference.